As the old saying goes, ‘complete-lack-of-timeliness is next to Godliness’. 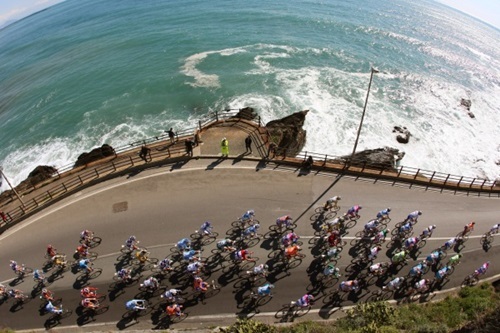 As such, Wednesday night seems a perfect time to report on Sunday’s Milan-San Remo. I sometimes get dragged into writing a sort of pseudo-race report and I always regret it. Far better to concentrate on the bold headline information: John Degenkolb’s moustache won. “It’s a race that really suits me, it’s perfect for me and now it’s mine,” he said afterwards. I’m not sure that’s entirely true. I don’t think you win ownership, but it was still a glorious victory for a likeable rider who I tipped at the start of the season. The race does suit him as well. It’s a nice balance, forcing the sprinters to climb without being so overwhelming hilly that it rules them out. That’s apparently going to change next year as they look to attract more Grand Tour riders. Then again, they’ve said that before. We’ll have to see whether it actually happens. Attacks rained down like rain in the closing kilometres, but as they approached the finish line, there were 20-odd riders in contention. John Degenkolb’s moustache was quickest, followed by Degenkolb himself, followed by last year’s winner, Alexander Kristoff, who clearly loves a ridiculously long 300km race. The Tour of Catalonia’s keeping the stage racers busy during one-day classics season. Pierre Rolland is currently leading overall after somehow getting into a break on stage one. Really, he’s too strong a rider to be allowed to do such things, but sometimes it happens. Rolland lost a bit of time on stage three, losing touch with the front group on a climb on which Chris Froome was also detached. That front group eventually dwindled to just five riders on the following climb. All five – Alberto Contador, Richie Porte, Fabio Aru, Domenico Pozzovivo and Rigoberto Urán – are targeting the Giro d’Italia in a couple of months, so maybe this was a bit of a preview. Shortly afterwards, they were joined by Dan Martin and Andrew Talansky. Unless your eye has already been drawn to the capital letters later on in this paragraph, you will by now be wondering who won. The answer is DOMENICO POZZOVIVO. Yes, this website’s favourite pet won his first race for three years. He is fourth overall, two minutes down. Thursday brings a summit finish – a 21km climb no less – which will surely decide the race. The rest of the Tour of Catalonia, for one, but also Gent-Wevelgem on Sunday. It’s cobbled, but you tend to need a strong sprint to win it. John Degenkolb won last year, which rounds things off nicely.